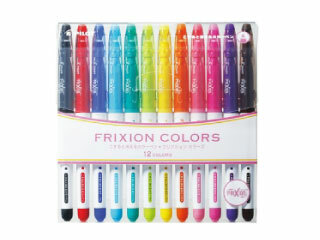 Write smoothly with the medium ballpoint, erase through heating without damaging the paper and start again straight away. 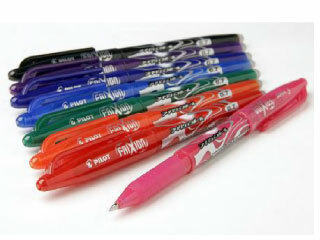 Using a new patented thermosensitive ink, the FriXon Ball, loyal to Pilot's tradition, revolutionises writing. 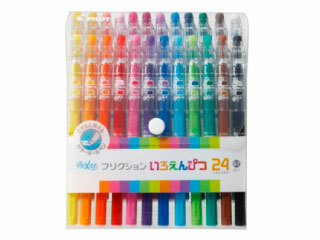 It has a young style with its tapered barrel and its tattoo decoration in eight colours. 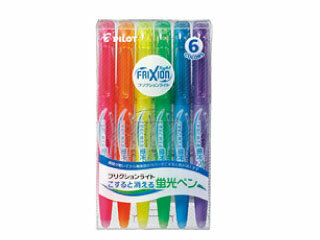 Copyright© 2013 Pilot FRIXION Pens JAPAN online store All Rights Reserved.